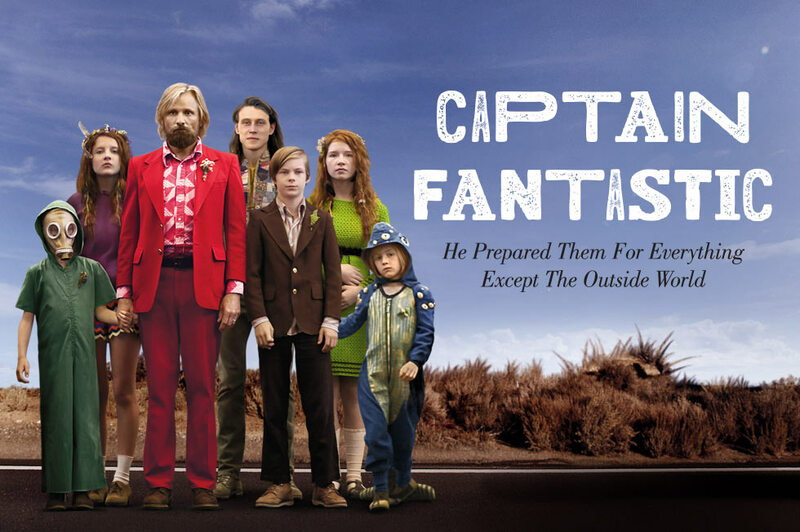 The starkest elements that need to be appreciated from witnessing Captain Fantastic is the prescriptions of what qualifies as erudition in contemporaneity. Erudition is a pig-headed obstinate adherence to educating horrifically failed social theories which have piled up millions of corpses. Erudition is to be purposefully antagonistic and socially dysfunctional orthogonal to the mass movement of the social body. Erudition, in short, is summarized in the film by thievery as a result of a condescending alienation to being a regular human being. This is the replenishing intoxication of the anti-social ideologies of the ironically categorized socialism which the father of a household of six or so children has elected, in a pretentious manner, to incubate his family with as part of raising a higher being. On the surface, it is comical to believe that these doctrines which fully reveal their hideousness in practice in the film carry any water, until closer examination reveals their central atrial actuation in the hearts of those despising the ever-present order of society that they are immersed in, can be taken seriously. Yet peering over one’s shoulders we see that the speciously educated masses, who have no inclination for self-derived critical thought, take a catastrophically false premise that what the academy atrociously gestates, like a witches’ satanic offspring, is high-minded rather than being able to gather the factual consequences of their chimerical theories. It is actually a striking remark on the state of education that such a narrative could be persuasive as an actual representation of reality. That these ideas, even their consideration plausibly as utopic, are not met by an audience with outrage and intolerance, and that the father himself champions such delusional ideas as enlightened demonstrates the vitality of incivility still present. Yet that is where the irony lay. That these highfalutin ideas do not lead to harmony and serenity among man but a constant torrent of disdain and negativity. It makes one wonder how unreasoned and illiterate the normally educated really are. Of course, despite the obscene amount of dollars spent, they aren’t. The premise then for the film is what is being refuted here. It is a non-starter to even imagine. And yet, the film makes an ingenious counter which supports the criticism of the ideas held. This monkish retreat from a scornful world, debilitating a children’s actual ability at full actualization which comes necessarily through the successful operation and henceforth harmony when organized with other humans into a society, is struck down in such a forcefully elegant manner even the audience who were true believers in this mode of pedagogy would be bedazzled as strongly as the father played by Viggo Mortenson. The crisis which his wife no doubt was sensitive towards hits him and his children harshly. That their delusional idea of withdrawing from society which has nourished them and provided them their literature they consume and worthless ideas they hold truer than Christianity, with them providing nothing beneficial in return, cannot last. Trade and long lasting peace emerges not with revolting against what one dislikes, but finding a means to cooperate with the elements that one does like.